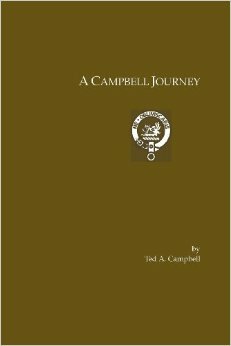 Ted A. Campbell, A Campbell Journey. Dallas, Texas: Tuckapaw Media, 2009. A documented history of seven generations of a Campbell family, from Malcolm Campbell (ca. 1715 – 1763) to Elam Campbell (1898-1995, the grandfather of author Ted A. Campbell) through Scotland and Ulster, Virginia, Tennessee, and Texas, with a preface by His Grace the Duke of Argyll. Click here to view this book at Amazon.com and to order copies. The Campbells played an important role and this book documents in detail one branch of our great family. – Torquhil Campbell, 13th Duke of Argyll, in his preface to the book.